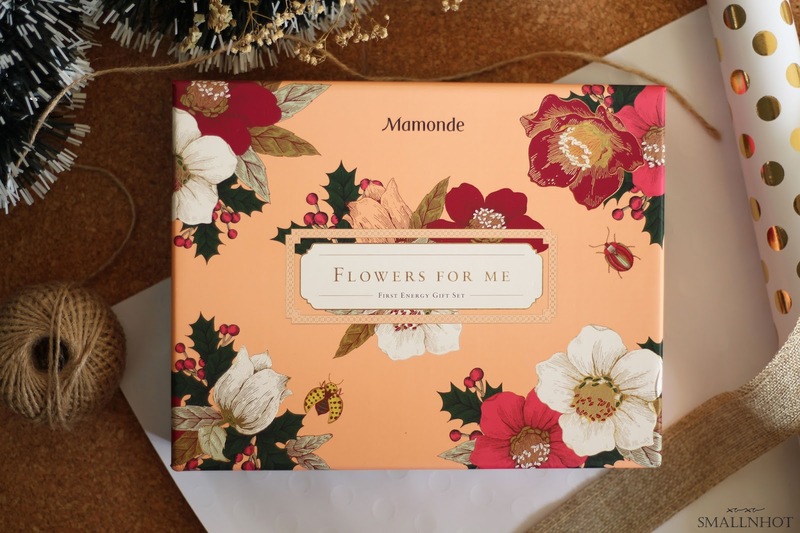 The beauty department has just gotten much more exciting with Mamonde 'Flowers For Me' Holiday Collection 2017, which consists of 5 flower-amazing sets. 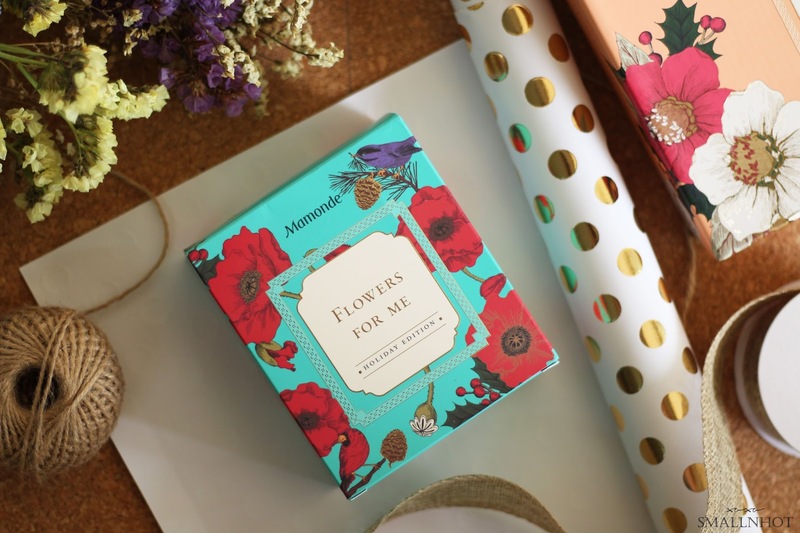 This year, all the sets are packed with beautifully designed boxes and printed with vibrant graphics of the Mamonde Garden in harmony with butterflies and birds, that is sure to bring happy thoughts all through this season. This set features all Mamonde's best-sellers such as the wondrous First Energy Serum and First Energy Essence and also the hydrating Floral Hydro Line in deluxe size. 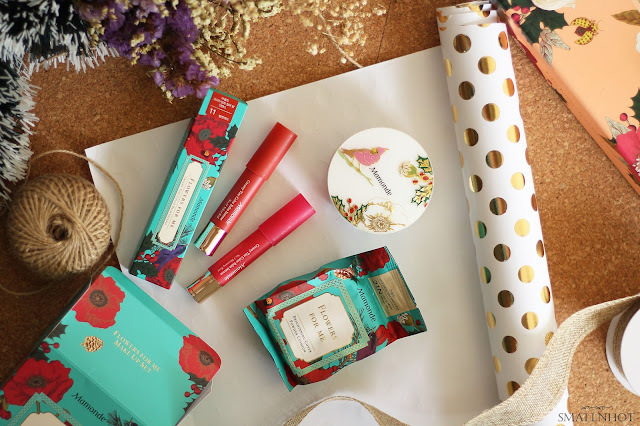 The incredibly pretty and adorably designed Holiday Limited Edition Brightening Cover Powder Cushion and Creamy Tint Color Balm Intense are sure to make your holiday makeup looks effortless and fresh. And not to mention it makes a pretty gift set for your friends and family too. Nothing relieves stress better than the scent of flowers. The Holiday Hand Cream Set comes with 4 beautifully scented hand cream which includes Rose Bouquet, Gardenia Dream, Camellia Petal, and Jasmine Cashmere. Looking for a pop of color for this holiday season ? Then you will definitely appreciate this Mamonde Holiday Limited Edition Creamy Tint Color Balm Intense that is not only a unique crayon-type lip pencil but also contains all the essential moisturizing needs for the lips. Works like a lip balm too ! All items are available at..
Malaysia - All Mamonde 'Flowers for Me' Sets are available at Mamonde Beauty Counters at AEON 1 Utama PJ, AEON Mid Valley Megamall KL, Parkson Suria KLCC, AEON Bukit Indah JB, AEON Tebrau City JB, AEON Queensbay Mall Penang and Parkson Gurney Plaza Penang. Also 11street.my and Lazada.com.my. 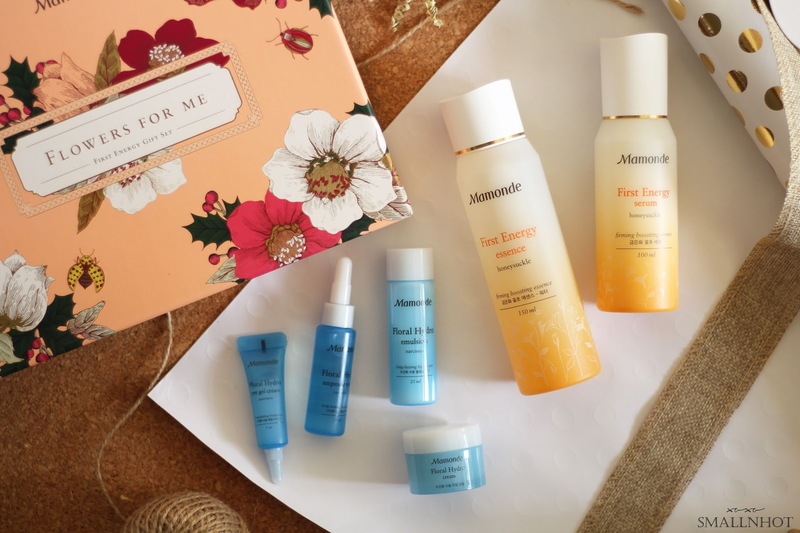 Singapore - Mamonde 'Flowers for Me' Sets are available at Mamonde Flagship Store at Takashimaya Shopping Centre & Beauty Counter at TANGS VivoCity L1.